Light up your room and bring the comics and movies to life with a light in the shape of your favorite DC Comics character! The DC Comics Aquaman 3D Character Light takes its distinctive 3D design from the iconic character from the hugely popular DC Comics universe. 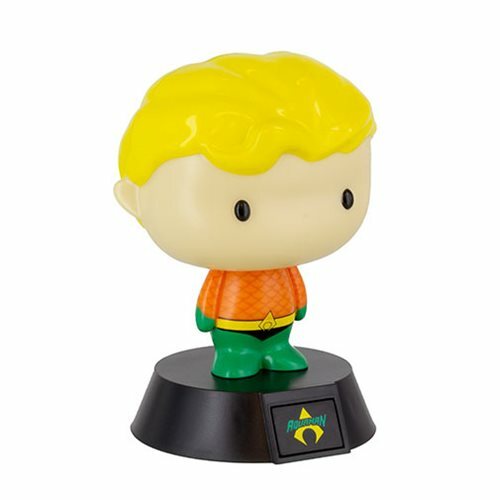 The DC Comics Aquaman 3D Character Light is a perfect addition to any Justice League fan's bedroom. Measures about 4-inches tall. Requires 2x "AAA" batteries, not included. Ages and up.